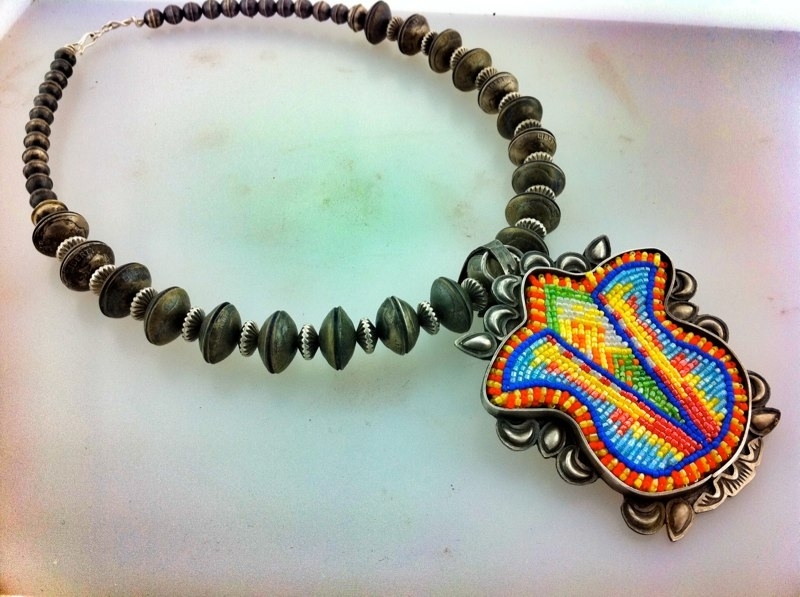 Navajo artist JT Willie is the brains and creativity behind JTW Bead Designs. I first saw Willie's work at the Santa Fe Indian Market a couple years back. His designs are striking and bright. My favorite work of his would have to be his jewelry that combines silverwork with beadwork. 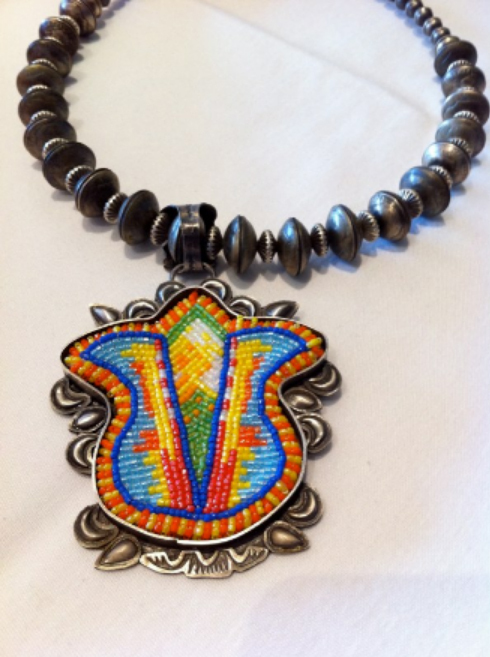 Originally from Twin Lakes, New Mexico, Willie started beading as a teenager, learning techniques from his family, beaders, steamstress, and silversmiths. 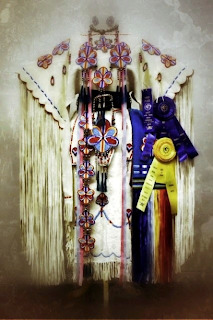 At the age of 16, he learned the style of beadwork from the Kiowa and Comanche Tribes of Oklahoma. He researches different styles of beadwork and incorporates them into his own unique style. BB: What is the most important thing to you about being Native American? JTW: What is important to me is the long culture I carry from years back. I can date my clans to the first world. Our rich culture and language is unmeasurable. We are still in existance today and moving on. Our art is our main definition of who we are - identity is in our designs. BB: What is something that a lot of people don’t know about your home community? JTW: My community of Twin Lakes is full of young and inspiring individuals in all careers, including the arts, entertainment, and education. JTW: My friends... Shayne Watson, Jhane Myers, Penny Singer, Virginia Ballenger, Al Joe, Artie Yellowhorse, Emil Her Many Horses, Tanya June Rafael, Charlene Holy Bear, Colin Coonsis, and Mary Irene are only some of my favorite artists!